Nathan Fillion and Firefly Cast at Comic Con 2012. . Wallpaper and background images in the Nathan Fillion club tagged: nathan fillion firefly comic con 2012. 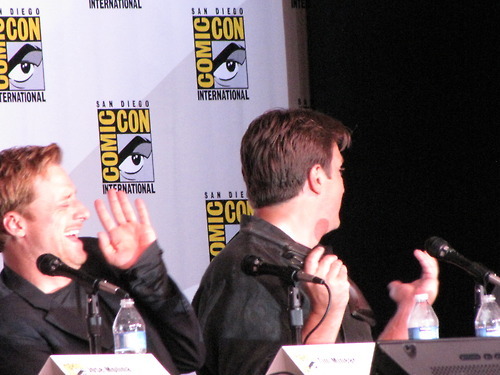 This Nathan Fillion photo might contain 商务套装 and 西装.